Tildren (Tiludronic Acid) is an exciting new drug to help horses with Navicular Syndrome and Osteoarthritis. Much of the pain associated with Navicular Syndrome comes from breakdown and resorption of bone (osteolysis). The navicular bone can breakdown and remodel where stress is exerted on the cortical surface. There is also breakdown of the bone where ligaments such as the distal sesamoidean impar ligament and the deep digital flexor tendon attach. (Follow link for more information on Navicular Syndrome) Horses with osteoarthritis experience the pain of bone resorption and remodeling in areas where the cartilage is no longer functional and abnormal stress is placed on the bone below. Tiludronic acid inhibits painful breakdown of bone. Tiludronic acid also has inhibitory effects on the enzymes that breakdown cartilage within an osteoarthritic joint. Osteoclasts are the cells in the body that breakdown and cause resorption of bone. This can be a very painful process. Tiludronic acid exerts an inhibitory effect on bone resorption by blocking the osteoclast metabolic pathway. For those that need to know technically: Tiludronic acid inhibits production of non-hydrolysable, cytotoxic, ATP-analog metabolites, inhibition of the organization of the cytoskeleton required for the activation of the osteoclast, and inhibition of the osteoclast proton pumps. Like I said; tiludronic acid stops bone breakdown. Horses treated with tiludronic acid experience immediate inhibitory effects on bone resorption. The affects last up to 4 months. This means that a lame horse can experience some relief almost immediately after IV administration. Then for 4 months osteolysis is controlled giving the injured area time to heal. Tiludronic acid can be especially effective when the abnormal stress on the bone can be eliminated so that over the 4 months, as the bone heals, it will not be reinjured. Horses with Navicular Syndrome that get corrective shoeing fall into this category. The main undesirable effects of tiludronic acid are symptoms of colic seen a few hours after treatment. Colic is usually mild and transient. Less than 5% of tiludronic acid treated horses experience symptoms of colic; however at Conley and Koontz Equine Hospital we observe all horses for several hours after tiludronic acid administration to treat colic symptoms if necessary. Tiludronic acid is administered intravenously (IV) over 30 to 60 minutes thru an IV catheter. Horses are presented in the morning and treated in the morning. Then the horses are observed thru the day for undesirable effects. Horses can be picked up later in the afternoon. Most owners choose to drop off their horse and leave during the treatment and observation process. It should be recognized that tiludronic acid is commonly used in Europe but it is not approved for use in the United States. Its unapproved status does not make it illegal to use tiludronic acid in the United States; however certain conditions must be fulfilled. 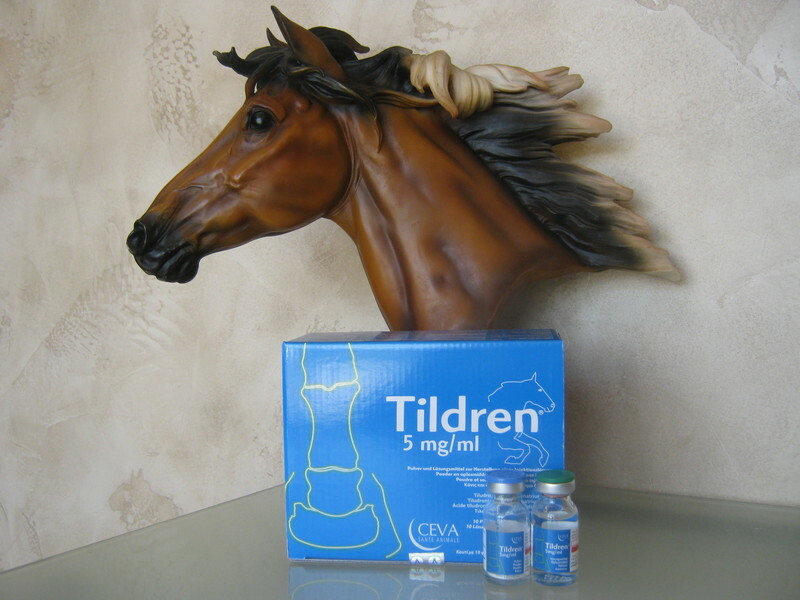 At Conley and Koontz Equine Hospital we have the contacts to treat your horse with tiludronic acid if appropriate. If you suspect your horse has Navicular Syndrome or Osteoarthritis call Conley and Koontz Equine Hospital at 877-499-9909 to schedule an appointment for diagnosis and treatment options including the use of tiludronic acid.